Did you know that roughly one-third of homeowners opted for high-tech appliances during their renovation? Now that’s smart. The most popular features homeowners look for in a high-tech appliance are wireless controls and color touchscreen displays, followed by built-in speakers, built-in apps, and smart meter connectedness according to the 2019 U.S. Houzz Kitchen Trends Study. Surprisingly, faucets are far and away the most popular high-tech kitchen feature. More than half of upgraded faucets in recent home renovations (57%) feature better water efficiency, no-fingerprint coatings, touch-free activation, and/or LED light displays. Zillow’s 2019 Design Forecast sees plenty of smart technologies on the horizon. They anticipate a rise in smart faucets, fans, window coverings, and appliances—all of which we specialize in. If you value safety, accessibility, efficiency, and convenience, ask about our smart system capabilities today. Transitional design has grown in popularity over the past few years—and 2019 is no different. If you’re envisioning a kitchen that seamlessly blends modern and classic elements, then you’re looking for a transitional kitchen style. It’s hard to define exactly what defines transitional style, but we can tell you what it is and what it isn’t: It’s exactly what you want it to be, and it doesn’t fall perfectly into a traditional kitchen style—it means anything goes. We know that rustic chic has been—and continues to be—a popular option for homeowners, but when it comes to the kitchen, they’re looking specifically for farmhouse chic going into 2019. There’s been a significant jump in popularity since 2017 while contemporary styles have fallen. 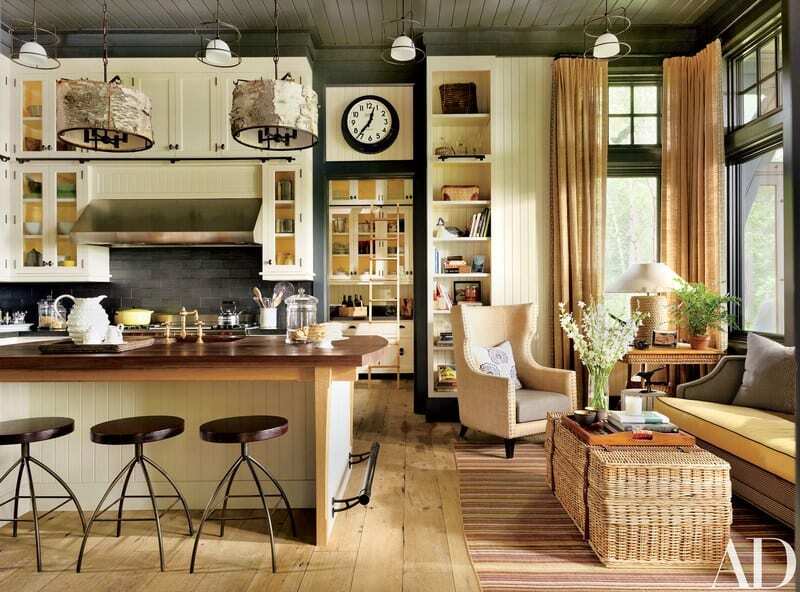 There are a few key differences between rustic style and farmhouse style kitchens. Rustic incorporates more unfinished wood, darker colors, and “distressed” features, while farmhouse is fresher, cleaner, and more modern. Hardwood floors have officially been dethroned in the kitchen. Ceramic or porcelain tile flooring is officially the most popular upgraded flooring material for homeowners. If there’s any pattern we’ve seen with the most popular kitchen trends of 2019, it’s a rise in popularity among materials that offer a wide range of options. With a huge array of styles, shapes, and colors, it’s no surprise that kitchen floor tiles have taken the #1 spot for homeowners in 2019 (and with its reputation for durability, it’s especially popular among dog owners). Ceramic tile is easy to clean and easy to maintain, but porcelain tile is denser, more durable, and less water-absorptive. It’s important to keep your options open when considering what kind of flooring you want to install, but when it comes to the kitchen in 2019, ceramic and porcelain are the most popular options. We’ve talked about the pros and cons of popular kitchen countertop materials, but 2019 is crowning one clear winner: engineered quartz. Engineered quartz has proven to be the most popular kitchen countertop material—surpassing even natural stone. Quartz was always seen as the more durable, less porous option compared to classic granite countertops, but in 2019, it’s the creative aesthetics that are allowing them to pull ahead of the competition. There’s a wide variety of different types of quartz countertops to choose from for your next renovation. If you’re looking for a more natural aesthetic, Cambria is a popular choice. The only family-owned, American-made quartz manufacturer is known for their wide range of colors and patterns. In 2019, we anticipate seeing a rise in creative countertops—the design of which transcends the actual patterning of the engineered quartz. Caesarstone’s Concetto collection, for example, features 10 different handmade, semi-precious stone surfaces. When you’re planning a kitchen remodel, trust the experts. 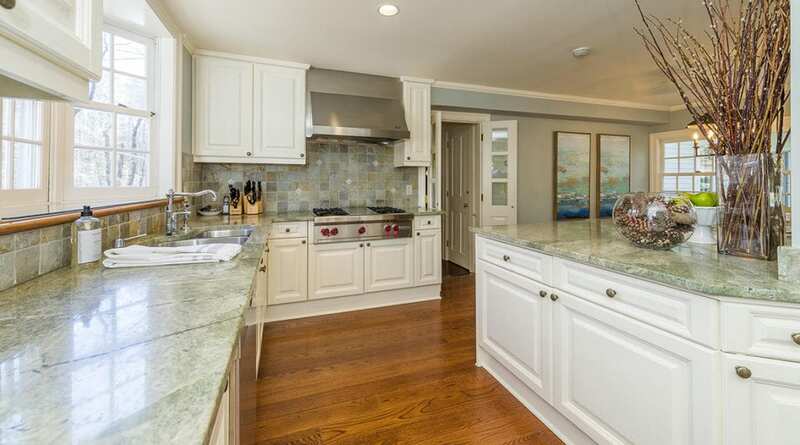 Gerety Building & Restoration can work with you to design the perfect, timeless kitchen for 2019. Show us how you envision your dream kitchen and we’ll make it a reality.